No falling off the chair tonight for Mitt Romney. The debate isn’t until 9 p.m. tonight. 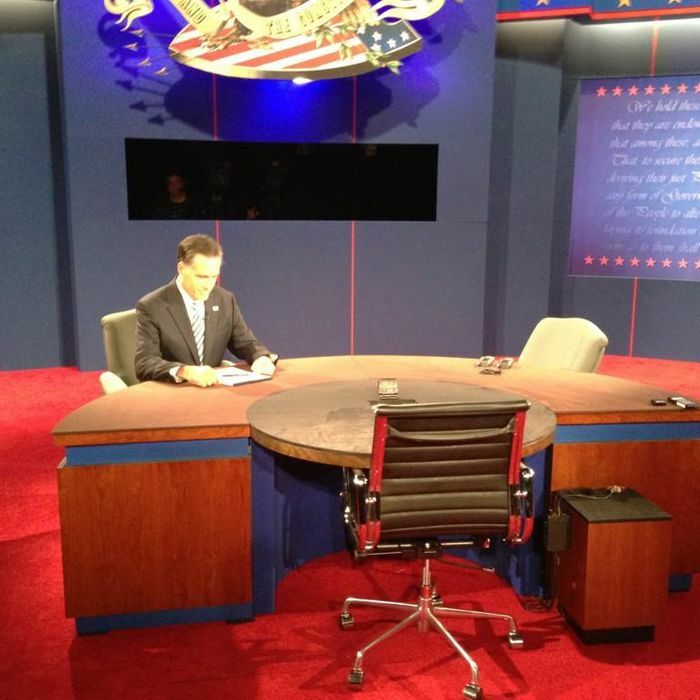 Maybe Romney is just … practicing … sitting … at a desk. You can never be too prepared.